I am so excited! Today is my last 3 mile run before I run my half, and possibly my last 3 mile run while pregnant. Still haven't decided yet how much I will run beyond next week. This training has really taken a toll on my body. I am ready to just take it easy a little bit. I will still do some walking. 3 mile+ walks are definitely on the books even up until I have the baby, got to get the baby out somehow, right! And I will try to do some running every week to keep up with it until I can't but it will be no more than 2 miles at a time. So this is my plan. On a plus side, I am glad that I have ran as long as I have because it has helped in other departments during this pregnancy! I have had no weight gain beyond what I started at, yea! I am losing fat/parts of my body are not growing as much as they did with Mason. The pants I wore when I was pregnant with Mace I am wearing now and they are a little baggy on me yea! And I passed my glucose test with flying colors. This is the one test I am so scared of because I am overweight, but I was 20 points better on this test than I was with Mason. The biggest change for all of this is that I have been running/doing more consistent exercise. One other note! Mason moved to his big boy bed on Monday. 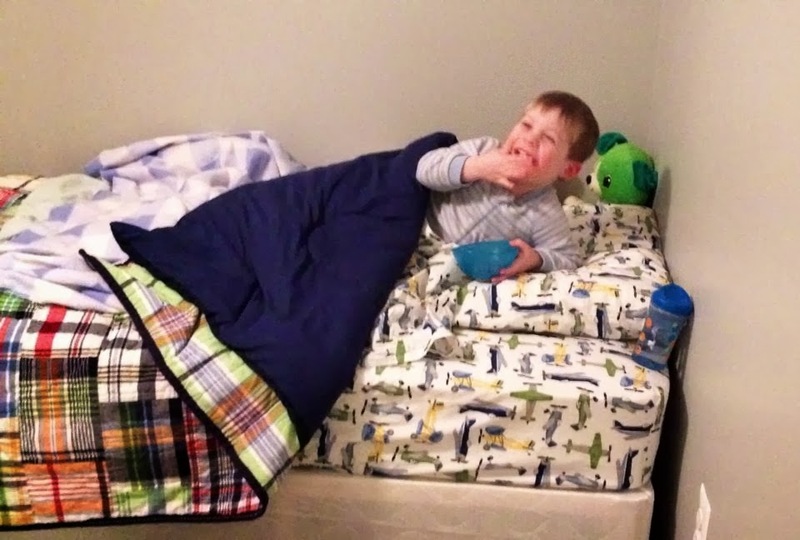 He has slept in his new room 2 nights now and hasn't fallen out of bed and really enjoys his new room! So excited for our big boy! Now if we could only teach him that the potty is not scary! QOTD: How do you taper your runs before a race?